If you know someone – whether a family member, loved one, friend or colleague – who is suffering from alcoholism, you may be wondering how you can help them to overcome their problem. This isn’t an easy question to answer – really only an alcoholic can be the one who decides to help themselves, but there are some techniques you can use to encourage them to step back and take stock of their situation which can prompt them to seek assistance sooner rather than later. It is very important to remember that unless someone is sectioned under the mental health act you cannot force them to do anything about seeking out treatment. Approach the situation as a concerned party rather than someone seeking to pile on pressure, and offer information so that you can help the alcoholic realise themselves that they need to look for help rather than forcing them into it. Alcoholics commonly suffer from a type of severely deluded thinking – they usually cannot see (or refuse to accept) the reality of their situation. Even if someone they care about pleads in tears for them to stop or they receive a sternly-worded health warning from a medical professional they will often disregard these in the mistaken belief that they are still in control of their drinking even when to outside observers it is obvious that they are not. The best thing you can do if you are trying to help and alcoholic realise that they have a problem is to arm yourself with as much information as possible – remember addiction is an illness like any other, not a sign of “weak character” or something similarly derogative, which means there is plenty of medical information out there if you look for it. Trying to confront someone about their drinking can become very emotional – while it is hard to take a step back, sometimes doing so in order to allow professional intervention is the best thing you can do for an alcoholic. You will probably feel frustrated and helpless, or totally at a loss on what to do – this is normal and you shouldn’t beat yourself up over these perfectly rational feelings. Focus on ensuring that you do not “enable” someone’s alcoholism by making excuses for them or trying to “work around” their problem. If someone comes home drunk and collapses on the sofa, leave them there. If someone is so hung over they cannot get up and go to work, don’t exhaust yourself trying to get them up and moving so they can do so. 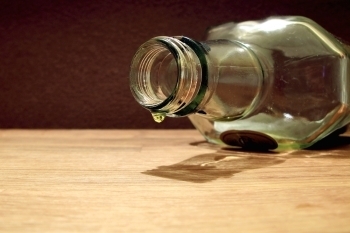 The sooner the realistic effects of alcoholism start to impact a person’s life, the sooner they realise that there is a real problem with their drinking and the sooner they will be prompted to seek help on their own – which is a far more potent agent of change than anything you can do to convince them beforehand. For advice on professional addiction interventions and general information to drugs, alcohol and other self-destructive behaviours, try an addiction advice service like Rehab Recovery. Contact them now through their website at www.rehab-recovery.co.uk and see how you could help save someone from themselves and their alcohol problem.